I first saw The Fiery Furnaces on an NME tour with Franz Ferdinand. I’d gone for the latter but the Furnaces blew them away, with their thrilling, mash-up songs, reminiscent of the Who’s A Quick One but utterly original. I’ve seen them two or three times since, including one time at on a tiny stage in a club where they played all new material to a small late show crowd and were equally good. 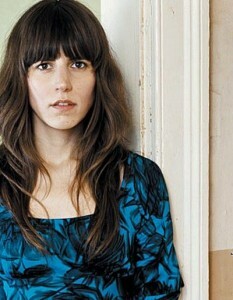 Martin Stannard and I bumped into Eleanor Friedberger (the band consists of her and her brother, Matthew) on our way out and I told her how much we liked her music. It could have felt strange, shaking the hand of this petite woman twenty years my junior but, hey, when it comes to rock’n’roll, I’m just a fan. And she was dead nice. The last couple of FF albums didn’t thrill me as much as the early ones (Blueberry Boat is my favourite) but now Eleanor is about to release her first solo album, and if the opening track is anything to go by, it’s going to be good. Sounds like classic Furnaces, plus sax. And feels like an appropriate song for today, given that it’s so hot outside, I’ve had to come in to cool off. Now I’m back out again, because I fear that this year’s British summer will be over by May, so I want to make the most of it. Let’s hope that’s one of my many mistakes. This entry was posted on Friday, April 22nd, 2011 at 3:13 pm	and is filed under Song of the Week. You can follow any responses to this entry through the RSS 2.0 feed. You can leave a response, or trackback from your own site.